One of my favourite little critters recently had his birthday in the dungeon with me. I like this particular critter because we’re both at an age where we have to lie about how old we are and we both completely believe each other when we tell each other we’re 23. There was cake, tea pots with a particularly trashy looking crossed dressed serving maid, pass the parcel game (which is the only game I’ll mention because the others were a little unsavoury), a pirate piñata (that we broke a base ball bat on trying to smash open)…. and sooooo many, many birthday treats. I decided to make it a girlie birthday because my birthday critter always says he doesn’t like cross dressing but then turns up with red nail polish on. Soooo, of course I believe feminisation is his secret wish desire he’s always been to embarrassed or ashamed to ask for out loud. 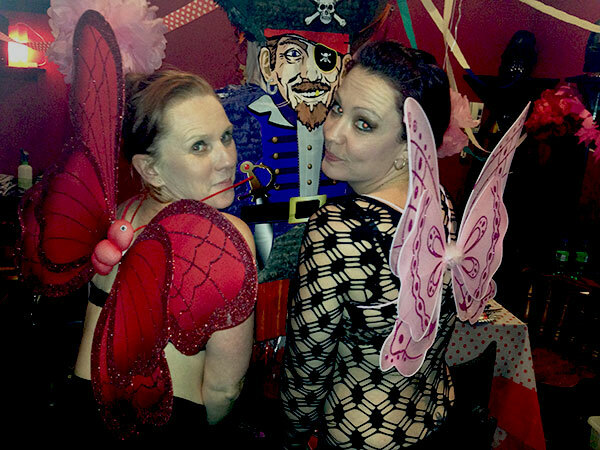 Mistress Lauren and myself set out to dress him as a fairy princess complete with wings and what do you know?….. forced feminisation proved to be a very popular birthday treat! What better way to spend your birthday?!? !